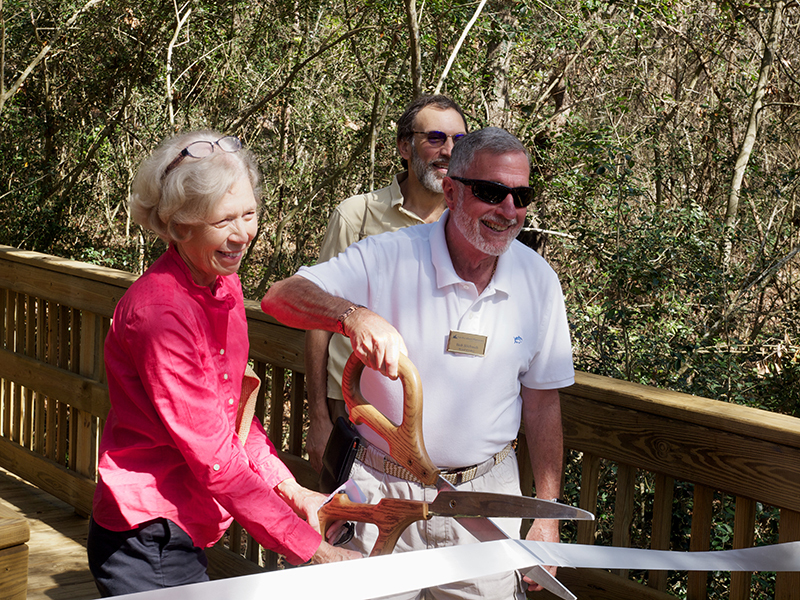 On February 22, 2018 the Amelia Island Plantation Community Association held a ribbon cutting for the Grand Opening of the Sunken Forest. 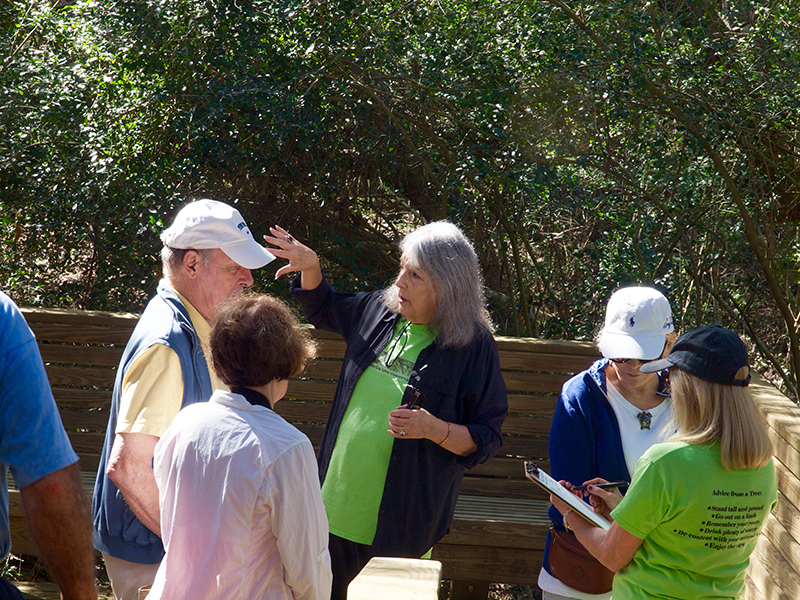 ATC was invited to provide “chats” on the maritime forest for those touring the Sunken Forest. 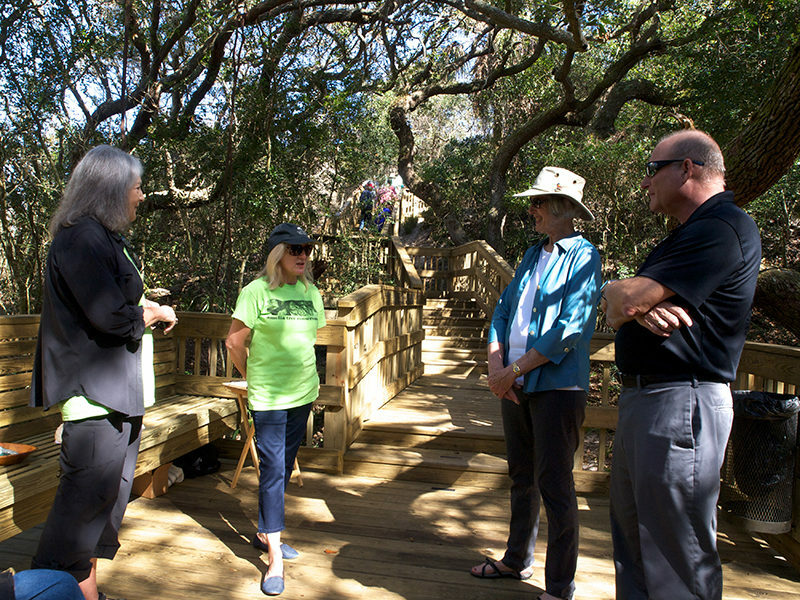 After a number of years of disrepair, the Sunken Forest has now been redesigned in a very environmentally sensitive way and reopened to residents and guests. It provides an intimate glimpse into the world of the maritime forest. 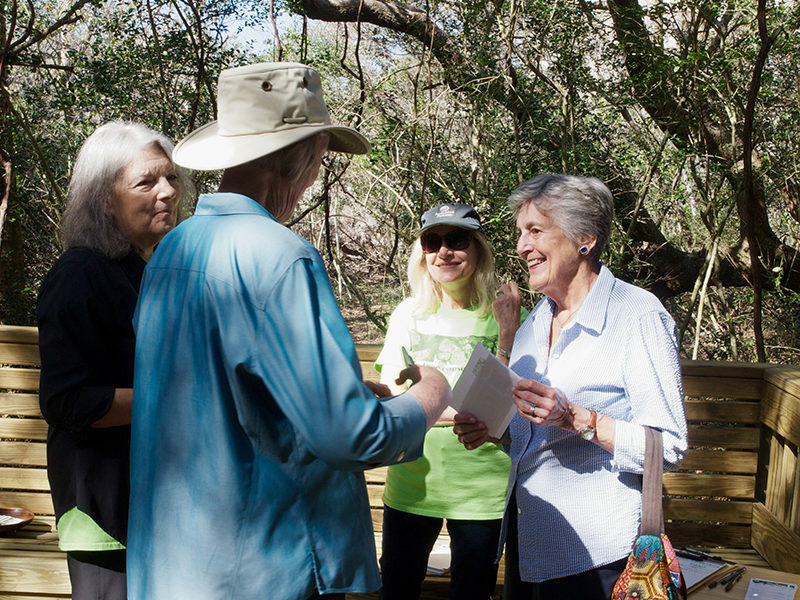 The Sunken Forest is actually a swale behind the first major dune line, a protected area in which Live Oaks and understory plants like Yaupon Holly have thrived. We can see how the trees have been shaped by the wind and salt over the years. In fact, on the edges of this small forest, we can see where Irma removed foliage, while the sheltered area beneath the trees remained unharmed. A boardwalk with stairs allows us to walk through this swale and up to a dramatic outlook over the beach and ocean. 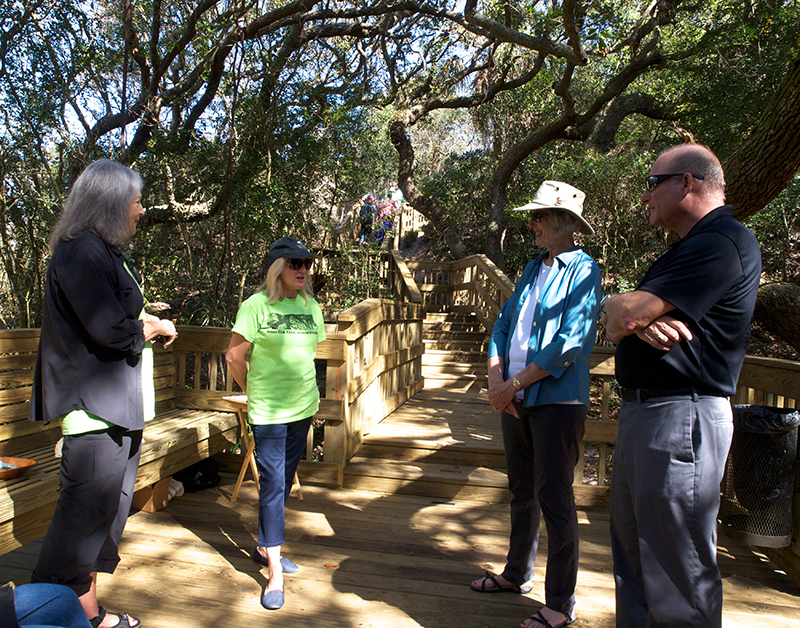 There are several areas where the boardwalk is lined with benches—lovely places for contemplation and communing with the forest. For the excellent restoration of this sample of maritime forest, we owe particular thanks to Carol Simon, Jim O’Malley, Geoff Clear, Larry Jones, Frank Adams, Jane Sandhaus Packer, Candace Bridgewater, and the Castle-AIPCA Management Company.